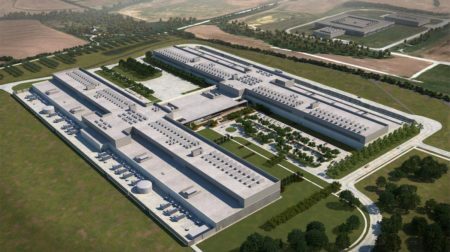 Newcomer’s identity is not yet revealed, but size may rival Facebook’s campus. The identity of the latest on-deck newcomer — which would join the likes of Facebook and Travelers insurance — for now is being kept secret from the public. Still, Papillion officials earlier this month gave the government go-ahead to what is being called “Project Wizard.” . 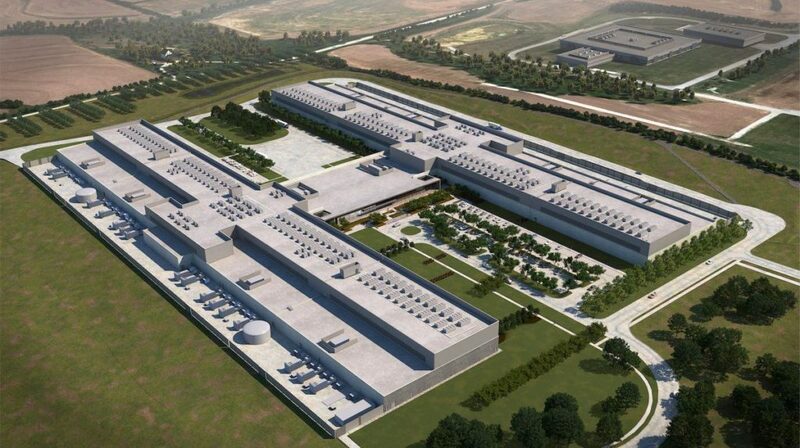 . . What is the magnet for the data centers? [Andrew Rainbolt, executive director of the Sarpy economic development group], said they’re attracted to the area in part because of new energy rates created by the Omaha Public Power District for big electricity users seeking to power their operations with renewable energy. Read the entire article here. Marketplace strategic initiative, which includes an enhanced economic development strategy. included a power purchase agreement with Enel Green Power North America in March for energy from Enel’s planned 320 MW Rattlesnake Creek wind farm in Nebraska. 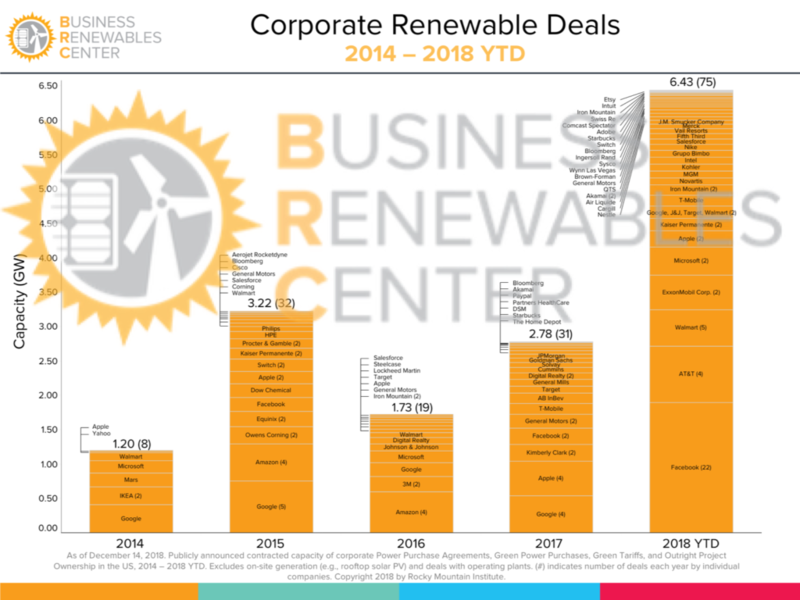 The Renewable Energy Buyers Alliance (REBA) is led by four non-profit organizations that have brought together their deep expertise in transforming energy markets. Collectively, REBA works with more than 100 large buyers that represent enormous demand for renewable power. 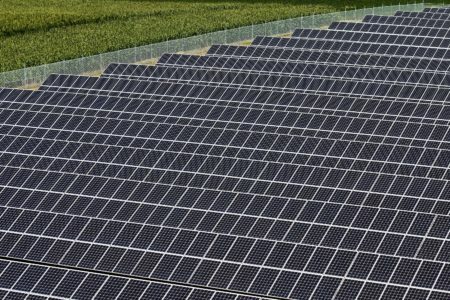 REBA’s goal is to help corporations purchase 60GW of additional renewable energy in the US by 2025. Click image to link to the map. This entry was posted in Nebraska / Midwest News and tagged corporate renewable energy procurement, data centers, data centers' energy needs, economic impact of data centers, Facebook, Omaha World Herald, OPPD Rate 261M, Renewable Energy Buyers Alliance (REBA), Rocky Mountain Institute's Business Renewables Center (BRC), Rocky Mountain Institute's updated corporate-backed renewable energy procurement deal tracker., The Wire - OPPD blog, U.S. Renewable Energy Map: A Guide for Corporate Buyers, UNL's Bureau of Business Research on December 23, 2018 by Helen Deffenbacher. The “U.S. 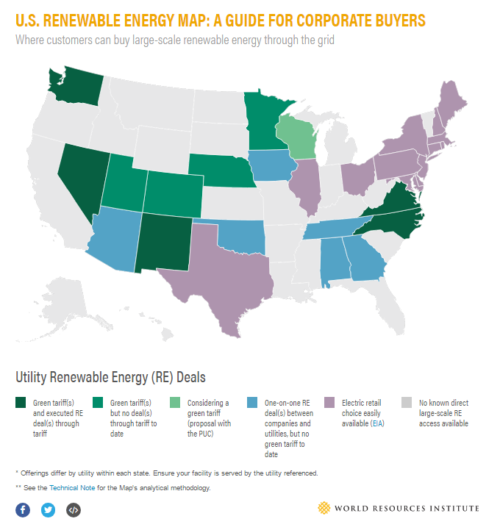 Renewable Energy Map: A Guide for Corporate Buyers” reveals where purchasers can access the renewable energy they want at the scale they need through their utility. 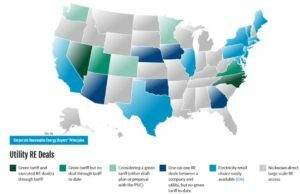 The map tracks renewable energy purchasing options in different states, including green tariff programs and other utility renewable energy products. Buyers use the map to inform decisions on where to site new facilities, prioritize their renewable energy purchasing strategies, and ultimately meet their clean energy goals. Recognizing the growing demand for renewable energy, states and their utilities use the map to compete for economic development by showcasing available renewable energy products. The map also compares each product to the Corporate Renewable Energy Buyers’ Principles and includes details from WRI’s Emerging Green Tariffs in U.S. Regulated Electricity Markets publication. A technical note describes the scope and analytical methodology for the renewable energy options identified in the map. 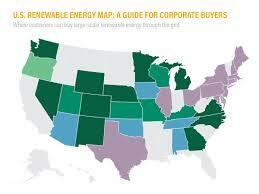 This entry was posted in Nebraska / Midwest News, NewsBlog and tagged Corporate Renewable Energy Buyers' Principles, green energy tariffs, Nebraskans for Solar, Omaha Public Power District's Green Tariff, U.S. corporations' renewable energy / energy efficiency goals, U.S. Renewable Energy Map: A Guide for Corporate Buyers on May 8, 2017 by Helen Deffenbacher.